Take your finger off that trigger! How processing can destroy your relationship and the SCORE process can save it. We all know that fighting is hard on our relationships. When we respond to conflict by yelling, storming out, giving each other the “silent treatment” or trying to stuff our feelings down, we erode the feeling of safety and trust in our partnership, and without safety and trust, intimacy and love eventually die, too. Obviously, directly communicating about conflict seems a much better alternative, and since lesbians and queer women care a great deal about our relationships, many of us have worked very hard to learn to name our feelings, speak in “I statements,” and ask for what we need. Sounds good, right? Yet often, our best efforts at communication fail to improve our relationships. Instead, we find ourselves locked in lengthy, emotionally draining “processing sessions” which leave both people feeling wary and exhausted. There is an alternative, a means of responding to and working with our conflicts in a way that actually builds intimacy, rather than erodes it. We call this approach the SCORE Process. Remarkably, once you know how to SCORE and use the process regularly, your relationship won’t have to get derailed by hurt, anger and disappointment. Even when difficult feelings come up, you can respond to them in ways that actually bring you closer to yourself and to your partner. Process. Processing, as it’s commonly done, is a conversation in which one person takes her hurt, anger, disappointment or other difficult feelings, and subtly or overtly blames her partner for these feelings. In general, the aim of processing is to convince our partners that what they did was wrong, and convince them not to do it again. But where did these feelings come from in the first place? The assumption of processing seems to be that our partners caused these feelings, and can prevent them by changing their behavior. Yet this is almost never the case. Most difficult feelings we have as adults echo back to other times and places. When circumstances bring up the same feelings again, we get “triggered,” meaning that our minds and bodies respond with the full force of the original incident. This is why seemingly small things can elicit big emotions for most of us. When your girlfriend arrives fifteen minutes late, it might trigger the panic of being left alone as a young child –- or of receiving a beating for being late yourself. When your partner encourages you to pedal faster on your bicycle, it might trigger the pain of having grown up with a highly critical mother, the feeling that nothing you did could ever be good enough. Because our hurt, disappointment, anger and other difficult emotions live within us, there is no way our partners can ensure that we’ll never get triggered. Of course, it’s fine for us to make requests, like “It’s really important to me that you call me if you’re going to be late.” But we can also be sure that our intimate relationships will end up pushing our buttons, so our best bet is learning to work skillfully with those buttons. The SCORE Process can transform your intimate relationships by giving you an effective way to work with your difficult feelings before communicating about them. Once you’re calm and clear, you can make a thoughtful decision about when, how and what to share with your partner. This makes it much easier to have a conversation that’s insightful, productive and loving. Are you ready for a truly happy, healthy relationship? 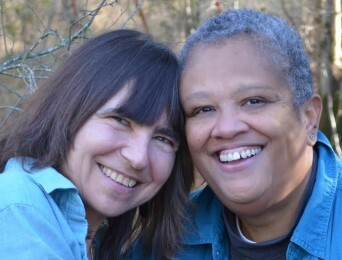 Check out Conscious Girlfriend: Lesbians & Queer Women Creating True Love. Register today for our free telesummit to hear interviews with 11 LGBTQI relationship experts from around the world! Posted March 1st, 2014 & filed under Blogs.